Amazing Animal Encounters: Have you ever shared a bench with a sea lion? Or a pool deck with a marine iguana? 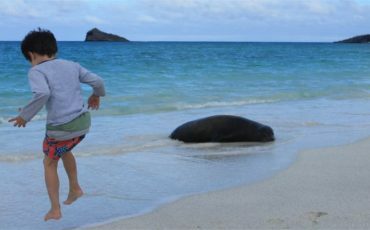 Just some of the encounters with the wildlife in Galapagos your kids will love! Education & Adventure: Your kids will have the opportunity to learn about the environment, nature and the different species through close-up encounters without a teacher or textbooks. Foster a Love of the Environment: Visiting Galapagos will build a sense of love for the environment, older kids and teenagers can even participate in volunteer conservation projects to help give something back. Create Memories: An once-in-a-lifetime-vacation for the whole family! Connect with each other: You will have enough time to bond with your kids, limited access to online entertainment will help. The Galapagos Islands provide the ideal setting for a family adventure vacation where young people can observe wildlife close-up, explore the marine life by snorkel, and learn about the basics of evolution. 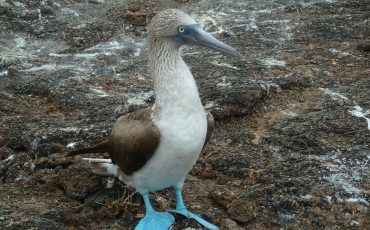 This is just one sample itinerary for a land-based tour, which gives more flexibility for those traveling in the Galapagos with kids, and it allows to discover the amazing wildlife of the islands during day tours. The whole family can enjoy watching an all-star cast of birds, reptiles and mammals in their natural environment as they feed, doze and play around the highlands and coastline of San Cristobal and Santa Cruz Islands. No physical preparation is necessary and all activities will be within reach of each member of the family. 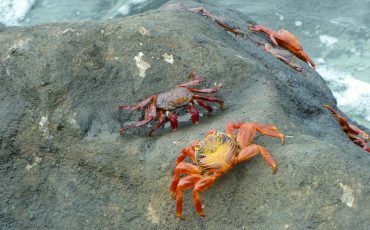 Of course, a tour to the Galapagos islands with older kids can also be on one of the cruise ships, which offer lots of amenities for all the family members. 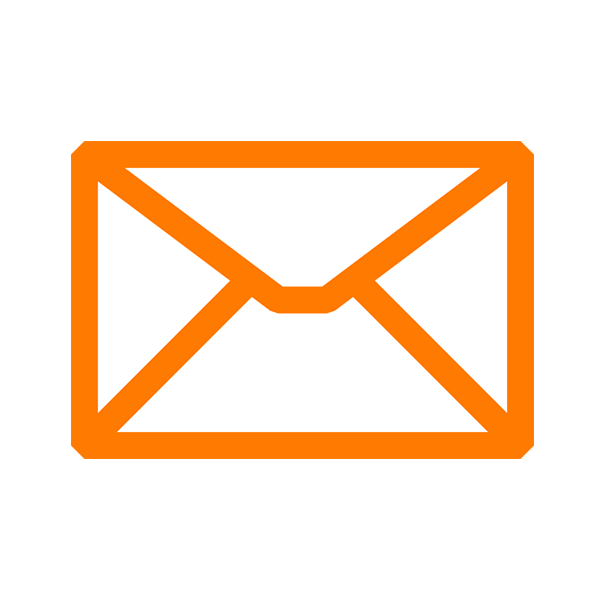 Contact us and we will find the perfect vacation for you! Landing at around midday at the small airport on Baltra island, meet your naturalist guide who will transfer you to your hotel in the small twon of Puerto Ayora. From the airport you go by bus for a short distance to the Itabaca Channel. This Channel separates Baltra from the larger island of Santa Cruz. Crossing it by ferry takes about 5 minutes. 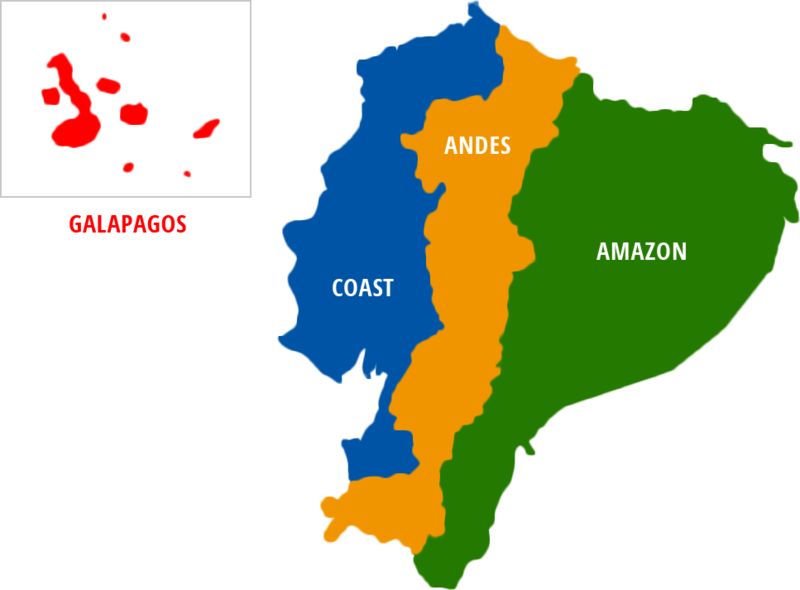 Now you are on the northern tip of Santa Cruz and have to cross the island by car to reach Puerto Ayora, in the South. 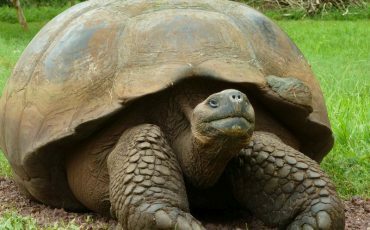 On the way, you will go on your first exciting expedition: You will venture to the higher part of Santa Cruz to observe giant tortoises roaming free amid thick, green vegetation. Your kids will especially love the photo ops with these famous gentle giants! After lunch at the ranch and exploring the lava tunnels, where legend says the pirates hid their gold, you will head to Puerto Ayora to check-in at the hotel. Today, you take a boat trip to one of the following island: Bartholomew, South Plaza, North Seymour or Santa Fe Island. 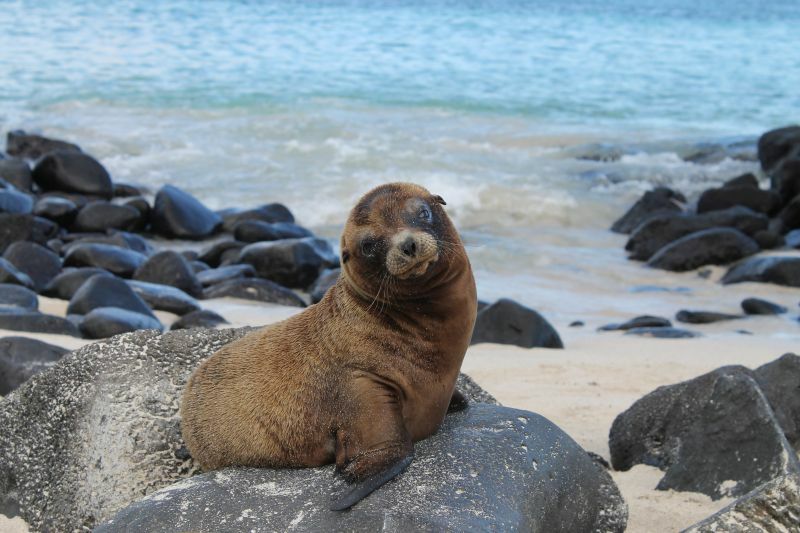 The uninhabited islands are what makes Galapagos so special: animals that can only be found on these specific islands, endemic plant species, birds that get so close you can almost touch them (please do not though…), and sea lions sleeping in the sun. 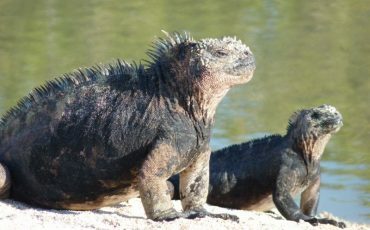 You will see vast selection of wildlife including blue footed boobies, marine turtles and marine iguanas as well as white-tip reef sharks or Galapagos sharks. In the morning, you will head back to sea in kayaks to explore the unique landscape of nearby Punta Estrada and Divine Bay as you paddle through towering lava walls. No experience necessary! Look down into the turquoise waters and you will see manta rays and white-tipped reef sharks below you. You can also paddle right up to the fearless blue-footed boobies, lava gulls, Galapagos great blue heron, Sally Lightfoot crabs, and marine iguanas perched along the cliffs. *Note: Two-seater kayaks are available, so parents can join younger children in the water! The afternoon is at leisure for you and your family, free to explore Santa Cruz Island as you please. You might like to go to the Charles Darwin Research Station. This non-profit organisation has been operating since 1959. It is great to learn some more about the local conservation of the unique ecosystems of the Galapagos. 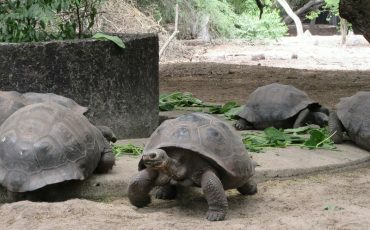 It also offers the chance for close-up encounters with Galapagos giant tortoises, and you can also see many newborn and young ones – they are here as part of the breeding program to reintroduce the creatures to their natural habitat. Or you can head out to Tortuga Bay beach, which is a short walk away from town (approximately 45 minutes). You rise early and after breakfast you catch the 7am boat to the island of San Cristobal and the town of Puerto Baquerizo Moreno. 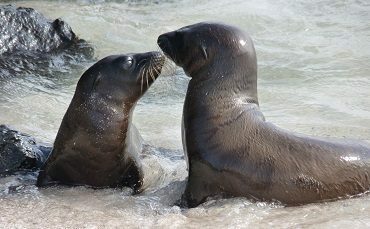 Not only your guide will be waiting for you at the harbor, no, also a colony of sea lions will welcome you at the beach. Your first stop is a visit to the Interpretation Center for a quick orientation of the island. 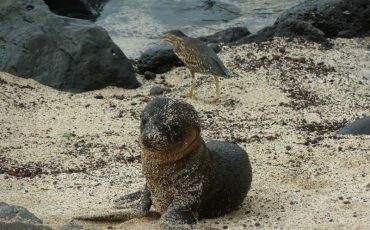 It presents a complete and documented history of the Galapagos, its ecosystems, flora and fauna. The Center focuses primarily on the history of the archipelago, from its volcanic origins to the present. Afterwards, you head to Frigate Bird Hill, a lookout point with a panoramic view over Shipwreck Bay to the South and Kicker Rock to the West. Along the paved path, you can observe the dry forest with cacti and acacia trees and catch glimpses of lava lizards. Also, the hill is one of the few places where two species of frigate-birds nesting in one colony can be spotted together. And you finish the day with a splash at Carola beach, exploring the underwater world while snorkeling. Your second day on San Cristobal island begins with a short boat ride to Isla Lobos (approximately an one-hour ride). This island boasts the second-largest sea lion colony, not to mention the tallest lighthouse around and fur seals are also sometimes present. You will disembark on the islet for an hour long interpreted walk around the island. Afterwards you will be able to snorkel in the protected bay nearby. Following a lunch on board, you will relocate to Ochoa Beach, where you can wander the sand, snorkel some more or relax in the sun. Day 6 – Time to say Goodbye! After breakfast, transfer to the airport on San Crostobal island. Say goodbye to the sea lions of San Cristobal and fly back to the mainland!